The holiday season is a gift (pun intended) for marketers. There is a wealth of imagery and tradition we can draw from to create a message that appeals to our audience. But every other brand has access to the same cultural catalog, and people get an onslaught of holiday-themed messages from October through December. To really stand out, marketers must create something extraordinary. The following brands captured attention for successful holiday campaigns in different ways: emotional appeal, humor, silliness, and elegant simplicity. Regardless of how they earned people’s attention, each example below has a lesson or two you can use throughout the year. The short film marked the beginning of an integrated media campaign. 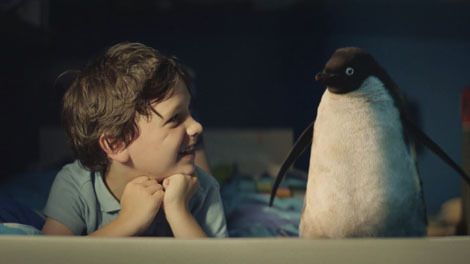 John Lewis encouraged people to tweet about the film with the hashtag #MontythePenguin, then made Twitter accounts for Monty and his penguin soulmate, Mabel. John Lewis customers could take a picture in Monty’s Den to share online, buy a Monty picture book, and of course pick up their own Monty to take home. Monty was a bona fide pop culture sensation at the end of 2014. The short film earned over 27 million views on YouTube, and Monty’s Twitter account had nearly 30,000 followers. Don’t Over-Emphasize the Brand. The short film focuses on the heartwarming story of Monty and his boy, rather than putting John Lewis’ brand front and center. Take Advantage of Multiple Channels. Monty and Mabel tweeted at each other for the entire month of December, while the displays at John Lewis kept them in the public eye. The picture book and stuffed animals made Monty a coveted Christmas gift in his own right, capturing attention far beyond the original short. 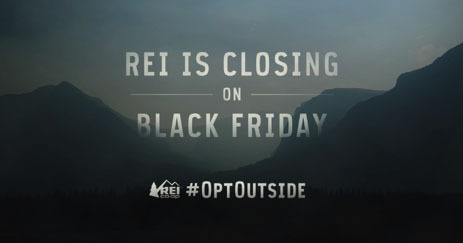 When stores started their barrage of Black Friday ads in early November, sporting goods store REI made a different kind of announcement. In a personal letter published on REI’s site, CEO Jerry Stritzke declared that all REI stores would be closed the Friday after Thanksgiving. He encouraged people to join him in the #OptOutside movement, to spend time enjoying the outdoors with family and friends instead of lining up for bargains. REI created a microsite for people to “join the #OptOutside movement,” which includes a gallery for images posted to Instagram with the #OptOutside hashtag. All told, over 1.4 million people pledged to opt outside, and Stritzke became a spokesperson for the Black Friday backlash. Be Human and Be Bold. Stritzke put himself at the forefront of the #OptOutside campaign, rather than hiding behind the brand. It was a risk to buck the growing Black Friday trend, but the message fit perfectly with REI’s values. Start a Movement Bigger than the Brand. Notice the hashtag isn’t #REIOptOutside. REI tapped into a sentiment that goes beyond your choice in sporting goods stores, then invited like-minded people to join the movement and create a community. In the 70’s and 80’s, ugly sweaters were an unironic fixture of family holiday photos. Now millennials embrace the campiness of the ugly holiday sweater, creating tinsel-bedecked monstrosities to share on social media or wear to ugly sweater parties. Coca-Cola hopped on the trend last year with its Sweater Generator, a web app that let users design and share their own festive, hideous creations. Coke added to the buzz by letting users vote on the ugliest sweater, then sending handcrafted real-life versions to the top 100 vote-getters. The Sweater Generator racked up millions of visitors, with hundreds of thousands of sweaters designed and shared. Contests Encourage Participation. Part of what made the Sweater Generator so irresistible was the chance to win a physical version of your virtual design. 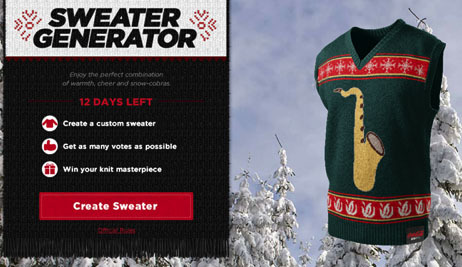 Sweater creators asking their friends for votes kept the site in the public eye. Know Your Audience. Coca-Cola wanted to focus on millennial men with its campaign. They were able to spot the ugly sweater trend in their target audience, and capitalize on it in a fun and interactive way. What do Santa’s elves have to do with office supplies? Perhaps if you look at Santa as the CEO, the elves are office workers who need staplers and rubber bands as much as the next cubicle warrior. 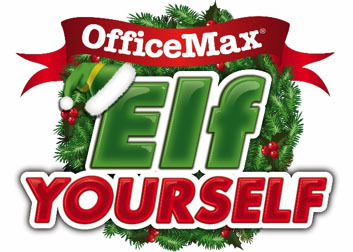 It may be a tenuous connection, but OfficeMax’s Elf Yourself site struck gold in 2006, and remains popular today. Visitors to elfyourself.com can upload pictures to be superimposed on dancing, singing animated elves. Animated e-card company JibJab handles the animation and the cheeky sense of humor. OfficeMax updates the site each year with new options, but the central campaign remains the same. To date, over 1 billion elves have been created on the site. Don’t be Afraid of Humor and Personality. Elf Yourself is irreverent (from the name on), playful, and unabashedly silly. It might seem like a counterintuitive move for an office supply chain with a business audience, but it works. Make the Customer the Star. Elf Yourself’s animations are so irresistibly sharable because they star you, your co-workers, friends, and family. In 1989, Ogilvy Mather used cutting-edge computer-generated imagery to create a Christmas commercial for Hershey’s Kisses. In it, a Christmas-tree-shaped array of Kisses becomes a handbell choir, chiming “We Wish You a Merry Christmas.” It’s a simple concept, and at 15 seconds, it’s half the length of a regular commercial spot. Twenty-six years later, “Merry KISSES Bells” is one of the longest-running commercials ever made, and Hershey continues to run it every year. Hershey made an HD version for modern TV sets in 2011, but the old, blurry, well-worn version is still a favorite. There are dozens of copies on YouTube, with as many as 500,000 views apiece. Sometimes, Simple is Best. This commercial is the definition of brevity: introduce the concept, add some personality, mention the brand, and you’re out. It succeeds without a social media blitz, customization options, or “like” and “share” buttons. Sometimes, It’s Best to Stick with What Works. Because Hershey aired the commercial unchanged for nearly three decades, it has an instant nostalgia factor for Gen X-ers and millennials. It’s 15 seconds of comfort food, the advertising equivalent of a Hershey’s Kiss melting on your tongue. 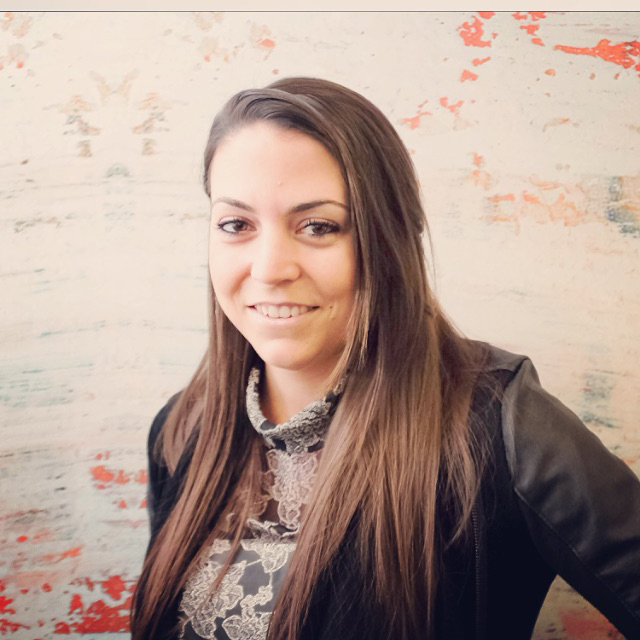 There are plenty of ways to make a great holiday campaign. You can combine old-fashioned heartstring tugging with social media marketing savvy like John Lewis and Monty the Penguin. You can tap into a growing sentiment and create a movement like REI. You can make a trendy contest like Coca-Cola, or go for broke with interactive silliness like Office Max. Or you can keep it short and sweet like Hershey, aiming for a brief, memorable message people want to see every year. For more merry marketing examples and insights that can help you and yours celebrate throughout the year, subscribe to the LinkedIn Marketing Solutions blog.